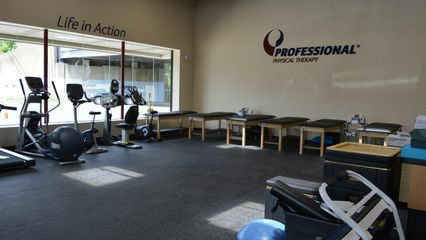 Jessica Paparella-Wachtel is a New York licensed physical therapist at Professional Physical Therapy. After graduating from Queens College with a bachelor’s in Biology, Jessica went on to receive her doctorate in Physical Therapy at Stony Brook University. Jessica has been practicing for 9 years. Jessica is a former collegiate softball player and has a special interest in the area of Sports Physical Therapy and Concussion Management. Jessica is also involved in the care of athletes at all levels of competition including the NHL and MLB. Jessica is an advocate of a multi-disciple approach to the management of orthopedic and sports injuries. John Chillo is a New York State licensed physical therapist at Professional Physical Therapy. After graduating from Misericordia University with a Bachelor of Science: Healthcare Management, John went on to receive his Doctorate of Physical Therapy at Misericordia University. John is also a member of the APTA. Mason Horne is a New York licensed physical therapist at Professional Physical Therapy. After graduating from Sage College of Albany with a bachelor’s in Biology, Mason went on to receive his doctorate in Physical Therapy at Sage Graduate School. Mason has been practicing for 1 year and specializes in Orthopaedic and Sports related conditions and post-operative care. Mason has certifications in First Aid/CPR, EMR, and Sports Metrics and is also a member of the APTA, NYPTA, and Sports Chapter ATPA. Nicole Maniscalco is a New York licensed physical therapist at Professional Physical Therapy. After graduating from New York Institute of Technology with a Bachelor’s in Life Sciences, Nicole went on to receive her Doctorate of Physical Therapy at New York Institute of Technology. Nicole has been practicing for 1 year and is currently involved in the APTA accredited NYIT+Professional Physical Therapy's Orthopedic Residency Program to pursue her orthopedic clinical specialist certification (OCS). Robert Garrick is a New York licensed physical therapist at Professional Physical Therapy. After graduating from the University of Houston with his bachelor’s in Kinesiology Exercise Science, Robert went on to receive his master’s degree in Education and second bachelor’s in Athletic Training at Texas State. Robert then went on to receive his Doctorate of Physical Therapy at NYIT.